The archipelago It is located to 160 kilometers of the frank north of the central coast and they integrate it an island, more than 40 keys, 300 banks of sand and great quantity of coralline reefs. 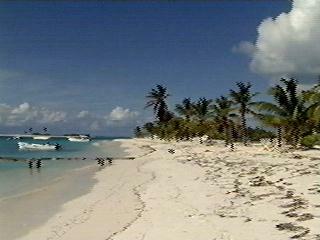 of Los Roques, together with the island of Ave and The Orchila conforms the oceanic islands", separated from the continental platform for channels of great depth and taken a bath by oceanic, warm and transparent waters. In the 221 thousand 120 hectares of extension of the archipelago such a rich and exuberant fauna proliferates as its landscape, what has attracted from half-filled from this century to fishermen interested in extracting particularly of its waters botuto and lobster. This activity, as well as the non organized tourism, they shrank the natural and scenic resources considerably, reason for which the State decided to decree it national park August 9 1972. As for the origin of the keys, it is known that these they began to be formed about 130 million years ago, period in which the configuration of the rocks began igneous-metamorfizadas that compose it. This platform that got up later on, being very near the surface, it is the one that today in day gives seat to the Great one Asleep. In the development of the archipelago, the towns settlers (indigenous coming from the center-north of the country and of Curazao, Aruba and Bonaire) they were leaving archaeological rakes that accuse their presence in these islands, to those that arrived mainly in food search. According to Carlos Martínez Pedroza it indicates it, general manager of Subvitur Aquatic Activities, as much in Crasquí as in Two Mosquises has been fragments of pieces of ceramic prehispanic and in the Museum of Art of the Corner of Caracas it is in exhibition great quantity of the material gathered by investigators attributed to that institution that includes before Columbus ceramic with anthropomorphous decorations and ornaments parentheses, pectoral axes of stone and flutes, among other ornamental and utilitarian elements. The visits of these settlers were sporadic and it was not but until the establishment of the Dutchmen that you/they looked for to exploit salt and mangrove in this area, when the islands began to be populated, as well as after the arrival of fishermen margariteños who at the moment conform 25 percent of the Asleep population of the Great one. The form like the archipelago was populated it indicates the cultural heterogeneity that reigns in him; the same one that signa the day by day of the roqueño, their vents, their customs. The roqueño is, for mainly, a citizen of the world that lives after the service and that delights in satisfying the expectations of who ventures for that warm earth, full of kindness. Although during a lot of time it was a source for the limitless usury on the part of the settlers, the archipelago maintains a biodiversity of incalculable value. The animal species and vegetables survived the pillaging; as the green turtle, the botuto and the lobster; to the drying of the bark of the mangroves, recognized by their high combustible value and to the phosphate exploitation and guano, used as chemical payments. To this sinks the one that the conditions in the archipelago are extreme for the proliferation of vegetable life, with an annual half temperature on 28 centigrade degrees and to an almost total absence of rains. Indeed, it is known that not more than 30 vegetable species they can adapt to these extreme conditions. They proliferate in this sense several types of mangroves, essential elements for the stabilization of the costs, formation of the floor and energy source through their leaves. 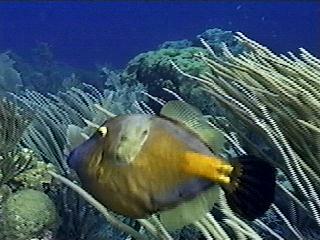 It is low the I cover of the natural protection as numerous aquatic and terrestrial species they reproduce. But the unquestionable kings of the submarine funds are the coralline reefs, recognized by their high biological value, fisiográfico and ecological. Fish like the pargos and mere, and crustaceans like the lobster, they are counted among the most celebrated guests in the reefs. Other species that have developed special adaptations in particular for that ecosystem, proliferate equally like it is the case of the fish angel or butterfly. In accordance with the changes in the topography of the reefs, in Los Roques three types can be located: the Shallow Platform that goes from the six to the eight meters where pieces of dead coral are plentiful and the diversity of species is low; the Crest arrecifal that goes from the eight to the 15 meters, with a bigger wealth and a percentage of very low dead coral; and, finally, the Talud Arrecifal, from the 15 until the 40 meters that it is where the submarine wealth reaches its maximum expression. Due to the depth they are common the forms plate that you/they allow to capture to the maximum the light. 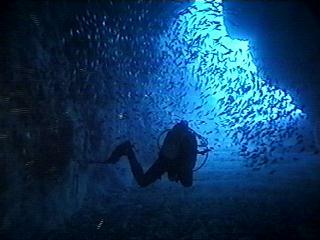 In other important ecosystem submarine roqueño, that of the marine fanerógamas, they are also hundred of fish that reproduce and they live their juvenile stage; mollusks like the botuto, a giant snail of rosy meat very appreciated the one that are also attributed properties afrodisíacas; you shatter and sea cucumbers. The fenerógamas is plants with flowers that, contrary to the algae, they reproduce by means of flowers and fruits. They are located in superficial waters, in areas of little depth behind the coralline barriers and in the area of the swamps. People of Los Roques are as blue as her sea, because to speak with them is to dive in those luminous waves that enter from very early for the windows and they force to the body to not getting lost of anything. But those characters that you/they never lack in the county of the country are also and that they are appointment forced when speaking of how the town roqueño is. As Dionisio Gil Rafael, one of the most charismatic, although people usually call it Morrongo, a motto that has followed it in every year in Los Roques, since her family one came from Margarita to prove luck. Of that they have spent more than 50 years that are appreciated in their weatherbeaten skin and in their almost blind eyes, hidden after some thick grated glasses. "After the operation I entered to carretillero, but before was fisherman", says evoking their intervention for the myopia, while it accommodates their wheelbarrow against the wall, the same one that gives him the sustenance, although the load rate is low. "The work right now matao is. It is getting paid very little bit, 2.000 bolivars hardly. But the National Watch's friends and the girl of here of Inparques they help me with the cafecito", says. Morrongo, the same as their nearer competitor, Juan without spark, they never made marital life neither they had children. Juan Ramón Narváez Salazar is younger, but the havocs in the skin for the burning sun are also imborrables. "All call me Juan without spark, I don't remember for as much as", says. The lips full with bladders smile the whole time, but the look is lost toward the airport, where waits for it a sure load that doesn't want to leave Morrongo for anything of the world. And, why didn't marry? "Because here the women mount a lot of piece", it sentences convinced. It is not the same opinion of Mano Andrés, a fisherman seated in Crasquí for more than 30 years, the same ones that has with their partner sentimental, better acquaintance as Forita. Fisherman from the seven years, Mano Andrés didn't study but rather was devoted to exploit the sea roqueño. "This is the most beautiful beach of all. I have always lived in Crasquí. We assist the tourists, we take out carite that is it that more they request, also lobster that we take out with having dived and with nasa". I Flow Andrés hesitates when saying that has six children, maybe because the memory plays him bad last in its intent of not counting at the seventh, the one that was drowned in that same beach when was three years old. But the grandsons don't let him to continue speaking and they force him to suffocate a small fight, while they are disputed a shell in the bank of the beach. There, in their own house, Mano Andrés and Forita they assist everybody who wants go to eat. And I eat the jesters they don't lack, one can not stop to mention to The bugs", they are always in the Asleep jetty of the Great one, surrendered in body and soul to the spirituous drinks. " Do you know why here there is pure boy"?, does Luis Beltrán ask, and without waiting answer it does present us his " paramachete ", a cocktail of fruits of the sea that takes octopus, squids, a lot of onion and lemon among other subtleties. "It also takes a secret touch", says while it sustains that it is a hundred effective percent to light the spirit more I calm down, it doesn't care if it is man or woman. And if it is not very convinced of such kindness afrodisíacas, then it is need to consider another of their properties: according to him, the paramachete is very effective to achieve the boys to go out with the blue eyes, as those of the Germans."